Our product range includes a wide range of rotary type fly ash brick making machine. With an aid of our formidable infrastructure and pro-efficient professionals along with the modern techniques, we take the pride to offer an exclusive array of Rotary Type Fly Ash Brick Making Machine. 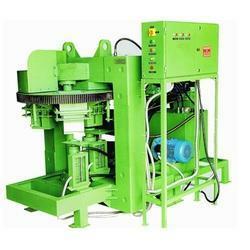 Looking for “Rotary Type Fly Ash Brick Making Machine”?